Saturday morning we awoke to a strange sight. BLUE SKIES!! This is great since we are off to the Russian River and the coast. First though the Jeep needs a bath. Our white Jeep looked more gray than white. Our trusty Zumo GPS found us a car wash close by so we loaded up Mollie and headed out. 10 minutes later we had a clean shiny if old jeep. 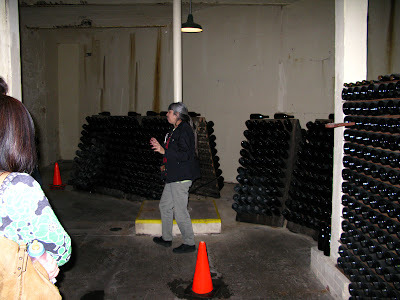 20 minutes later we were at the Korbel Champagne Cellars. 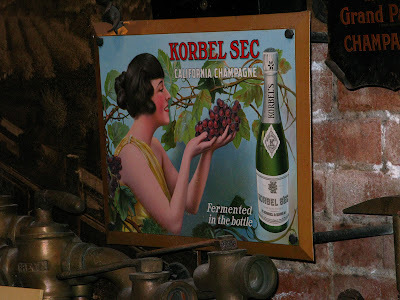 Korbel is noted for champagne. In fact it is the 3rd largest in the world. We got there just in time to join a tour. 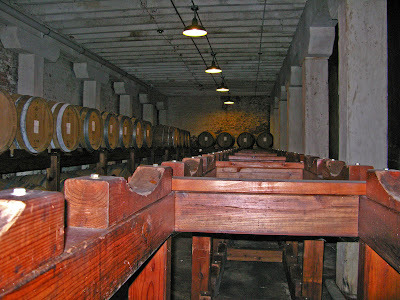 And yes we learned that a bottle of champagne does contain 40 million bubbles. I'd like to meet the guy who did the counting. We were also able to take advantage of a sale, which came in handy since we have 2 children getting married this year. By the way a case of champagne contains 15 bottles not 12 like a case of wine. We followed the Russian river west to the coast through little towns with strange names like Monte Rio , Camp Meeker, and Occidental. 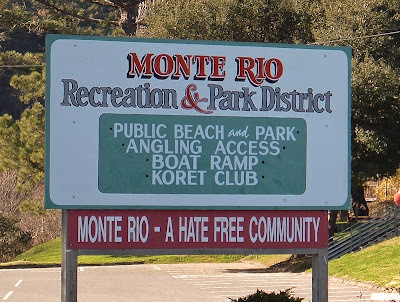 Did you know that Monte Rio is a Hate Free Community? Continuing west we soon reached the coast and the little town of Bodega Bay. 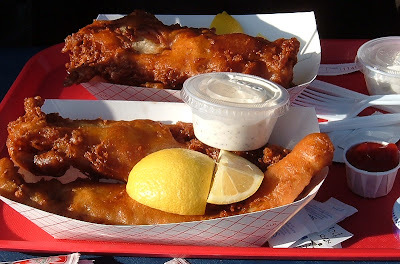 I have this thing for fish and chips, and we had heard about a little place there. They were good but a little on the greasy side. Are all fish and chips batter dipped? I grew up eating lots of fresh water fish but Mom always breaded them before frying. I think that's what I prefer. Judy wants us to stay away from the fried food anyway. 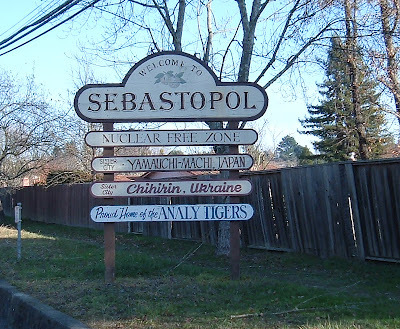 After lunch we headed back to Santa Rosa through the town of Sebastopol. If you thought a hate free town was unique Sebastopol claims to be a Nuclear Free Zone. We still think this unique part of California is pretty special. Great photos, guys! Glad you both are having a good time...you're becoming quite the photojournalists, I have to say!